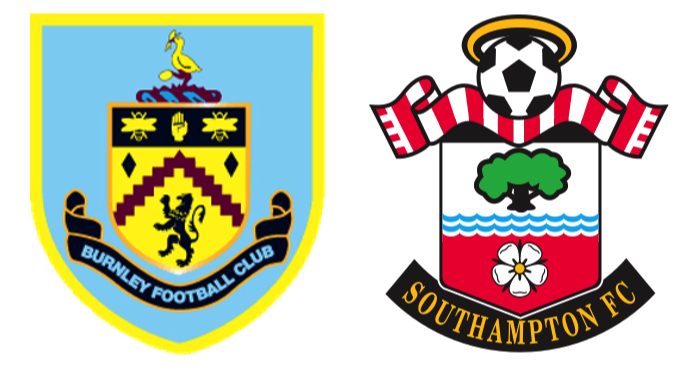 Southampton head to Turf Moor on the back of a much needed result at home to Liverpool in the League cup, but have found goals hard to come by home & away, and have lost the most points when leading in the Premier League this season (14). Burnley have one of the best home records in the league add to the fact that saints haven’t won any of their last three league visits to Burnley, last beating them there in the Championship in October 2007 this was shaping up to be a tough afternoon. Puel’s team selection would be interesting, as always there would be a few changes, Long in for J Rod, and JWP and Højbjerg in for Clasie and the injured Davis. Burnley start quite well and have a couple of tame looking efforts which don’t cause any problems. We then look to build some sustained pressure, Redmond and Tadic in particular look threatening. Redmond’s trickery in the box comes to nothing but he does get the ball out to Cedric whose cross goes deep to Tadic who hits it first time on the volley across goal. A cross from Long shortly after picks out JWP who heads down and Heaton make a sharp close rang save, unfortunately not his last. JWP may feel he could have done a bit better, but he’s looking busy and far more robust than last season. Burnley busy blocking everything we throw at them. Overal saints on top and comfortable a pattern that would continue well into the second. VVD gets in at the back post from a lovely free kick from JWP, a bit of scramble and the keeper clears one from close range again, things just not dropping our way despite playing well. Then the goal…A soft/lazy/laboured, delete as appropriate, challenge by Romeu and its a free kick in a tricky spot, its central and tough to defend. Up strides everyones favourite thug, betting scammer and all round bellend Joe Barton. A slight deflection from a poorly struck shot and its past Fraser Forster. I’ll not go into one about Frase again, but I think he’ll be a bit disappointed he didn’t get something on that, it’s all a bit something from nothing and we’re up against it. Having played well we’re on the back foot yet again and being punished for not taking our chances. Can we get back into the game in the last few minutes…Long wins a corner and VVD heads straight to Heaton, then JRod makes some space after a good flick on from Virgil and has a good effort palmed away, Sims follows in and hits an effort near post and Heaton pulls off a pretty special double save to deny Sims his first senior goal and Saints a point. He has to be England’s number one keeper but I doubt he’ll get a start because he plays for Burnley, maybe we could buy him. That’s all MOTD had for me I’m afraid, a couple of quotes from the BBC about the game give a good indication of how it played out I think. 'Burnley could be considered lucky to come away with all three points. They were weak in attack and had three shots on target in the entire match, with only Barton's deflected strike troubling Forster'. 'Southampton fans should not be too disheartened by the result. Four league defeats in four makes for bad reading, but there was little to fault in the display at Turf Moor'. So there we have it, yet again, we played well, created chances and have been let down by strikers not doing their job. Four losses on the trot is not a great stat and has caused much nashing of teeth, its worth remembering however, our last two managers, who you’d think could do no wrong to hear the revisionismn going on at the minute went through similar droughts. Pooch in 13/14 - we won on 9th November at home to Hull and didn’t win again until 26th December away at Cardiff, losing 4 and drawing two bringing home two points from 18. Ron in 15/16 - winning on 7th November 1-0 away at Sunderland and not winning again until we thumped Arsenal 4-0 26th December, again 1 point from 15 in that time. The difference this year is that as yet we are not as bad as those three runs, we’ve left it a bit later in the season switching it up from November December, and this year we had Europa and League Cup semis to deal with. If you add to the fact that our attacking options are much weaker than those of previous seasons I think Puel needs a bit of slack and backing in this window.